The cloud isn’t just for consumers anymore. Businesses have increasingly seen the benefits that can be gained by moving to the cloud for myriad applications, including their ERP. While many distributors have made the move and experienced the efficiencies that can be realized with cloud-based ERP, others are weighing the pros and cons of this shift in strategy. 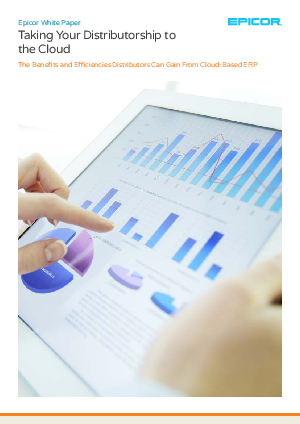 Download this white paper from Industrial Distribution, in conjunction with Epicor Software, to learn more about the many advantages cloud-based ERP provides, along with practical tips on selecting a provider.